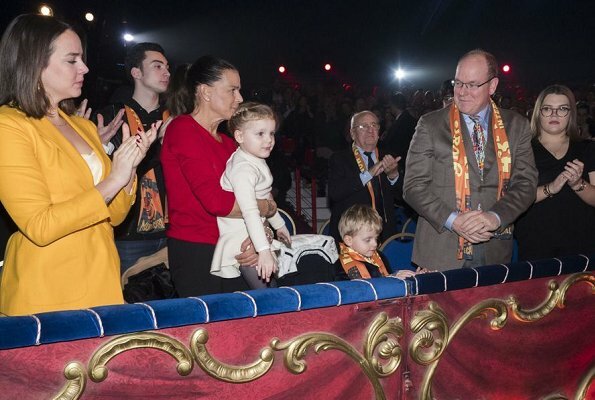 On January 20, 2019, Prince Albert II, Prince Jacques, Princess Gabriella, Princess Stephanie of Monaco, Camille Gottlieb and Pauline Ducruet attended the 4th day of the 43rd International Circus Festival of Monte-Carlo in Monaco. 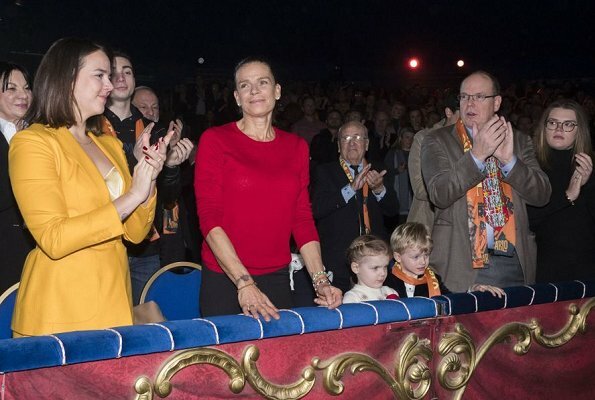 Princess Stephanie is the President of the festival. 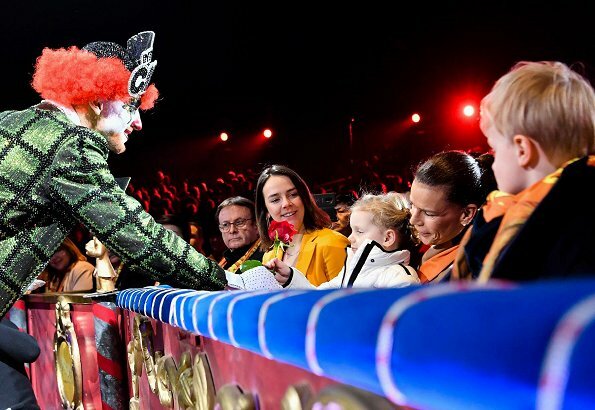 (The Princess first juried a circus show at age nine and today she oversees all aspects of the festival from selecting acts, to production). 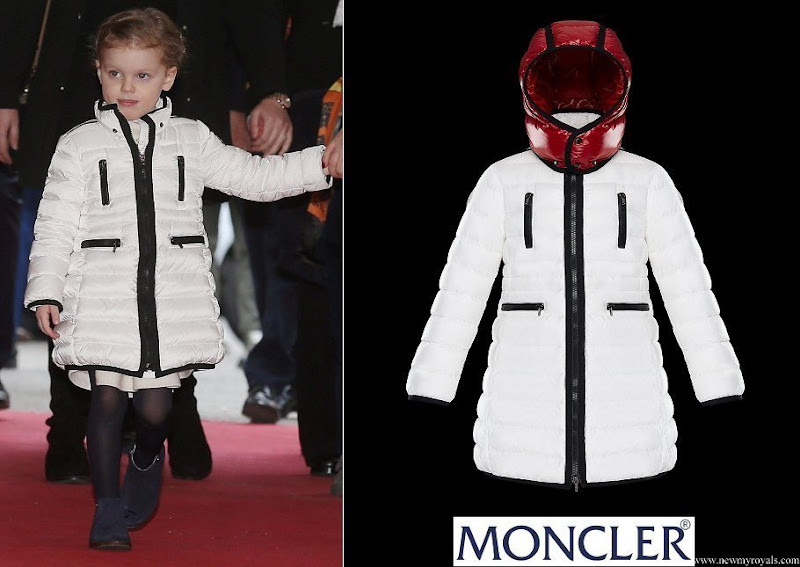 Really nice little Moncler jacket on Princess Gabriella. Quite expensive too (curiosity got the best of me- I Googled it!). 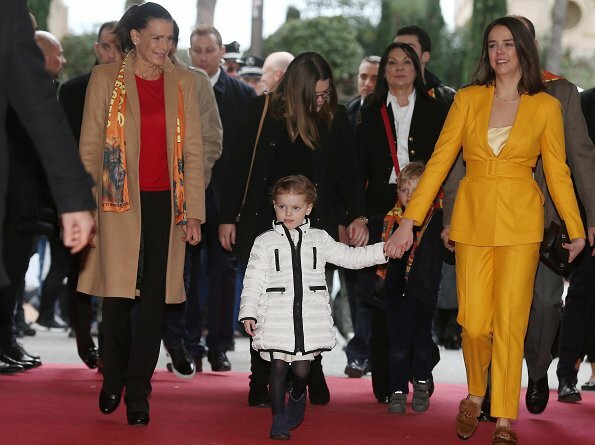 Princess Stephanie's hair.... no! A layered cut would suit her well. Camille takes after Grace and so does Gabriella. Pauline Ducret is also a charming young women. 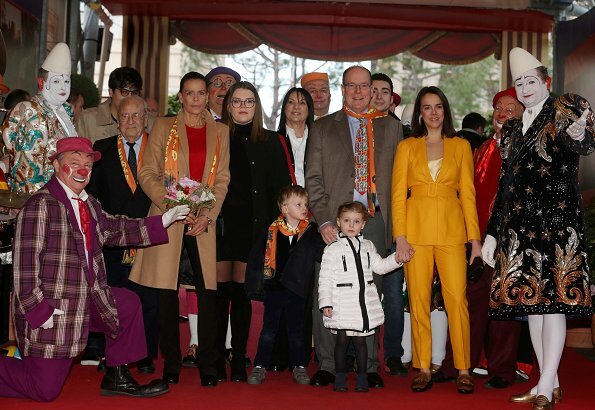 Princess Stephanie can be proud of them. 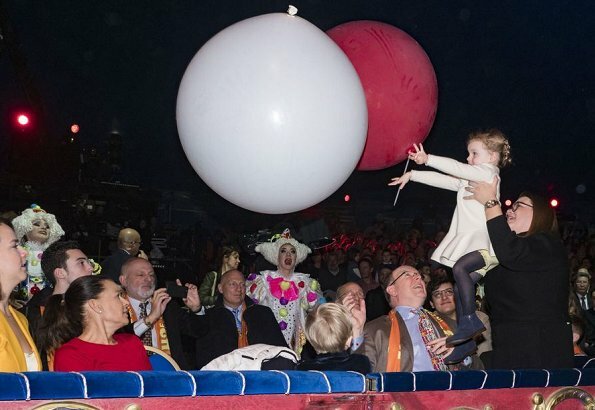 The children don't exactly look thrilled by the experience. 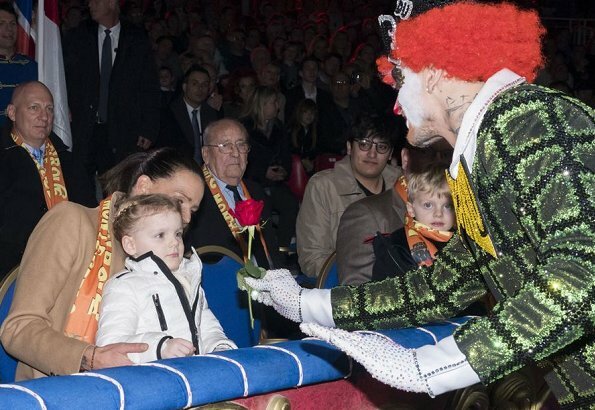 Who can blame them - those "clowns" are just creepy. belle petite Princesse! 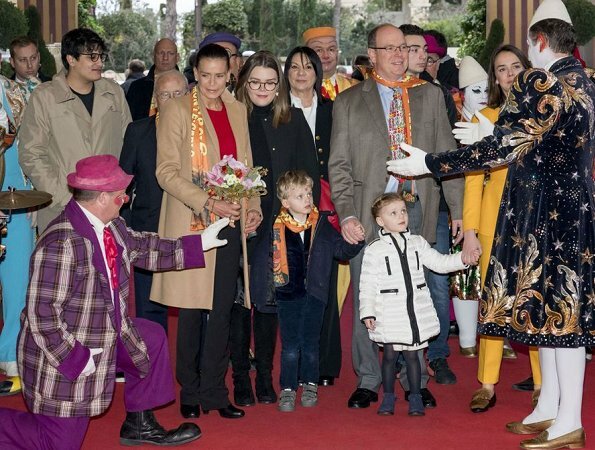 la famille sans ma Charlène!! 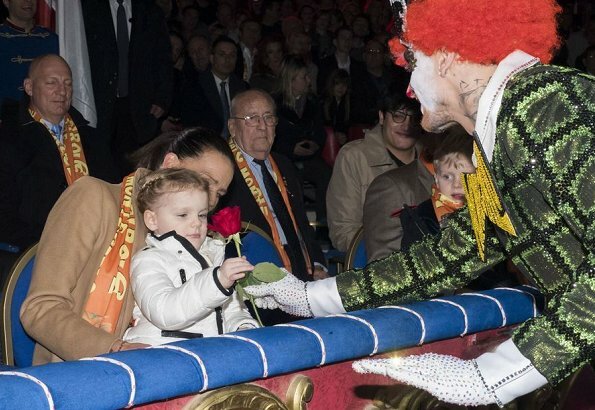 Little Jacques doesn't seem to like clowns too much, I agree with him! Stephanie has the same hair stylist as Victoria of Sweden. I like public events but I prefer personal trips, they look more natural. 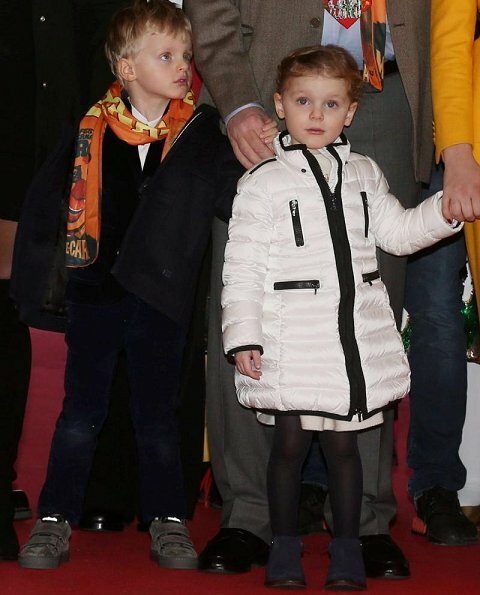 The children are adorable. I like that Charlene stayed home and let Stephanie be the main star. 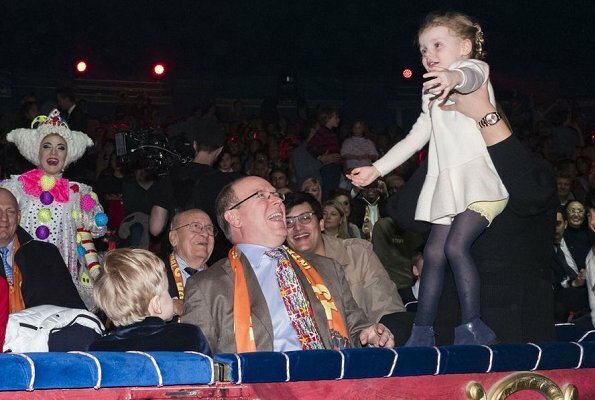 J aime voir ces cousines adultes en compagnie de leurs cousins enfants. 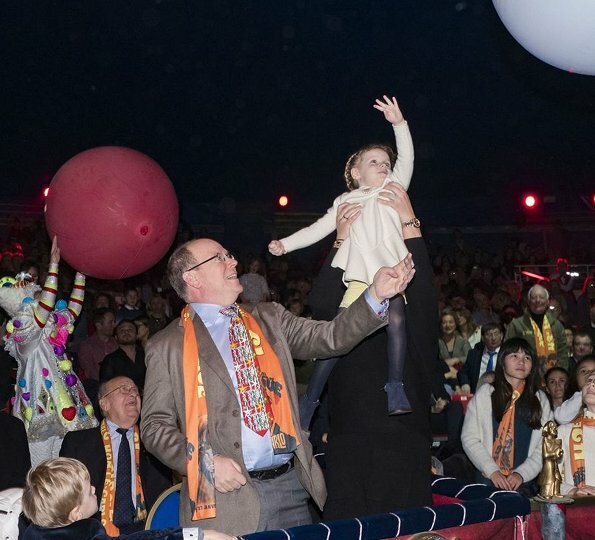 tante stephanie is ook gek op de kinderen van albert ! !